Produced by Will Packer Media in association with Lionsgate and Lionsgate-owned distributor Debmar-Mercury, and starring Givens (“Riverdale,” “The Fix,” “The Bold and the Beautiful”), “Ambitions” is a multigenerational family saga centered around one woman who, having recently relocated and intent on revitalizing her marriage, finds herself going head to head with some of the most powerful and deceitful players in the city of Atlanta. The soapy drama also co-stars Essence Atkins, Brian White and Kendrick Cross. 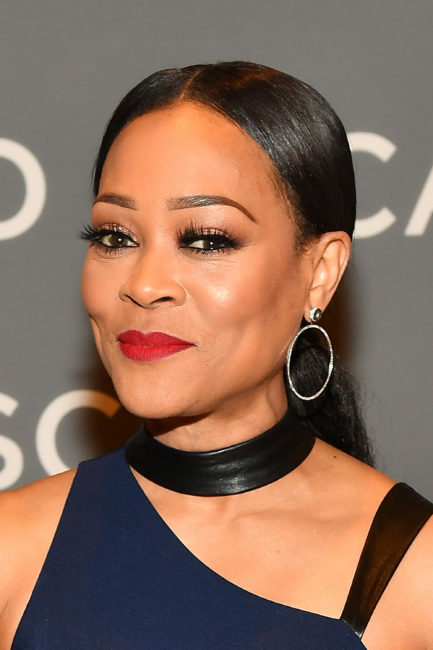 Givens stars as ‘Stephanie Carlisle,’ the powerful wife of Atlanta Mayor Evan Lancaster (Brian White), whose true loyalty is to her family’s prestigious law firm, where she is the latest in a long line of distinguished lawyers. In a word, she’s a sparkplug looking to take over her father’s law firm and the city of Atlanta in the process. Givens has played a variety of characters, many of whom have been strong women like Lancaster. She recently starred as Mayor Sierra McCoy on CBS’ “Riverdale” and will star in the Marcia Clark executive produced ABC show, “The Fix.” Although Givens took some time off to be a mother to her two sons, she has managed to stay relevant and employed in a sometimes fickle industry. She believes her training as an actress is what gives her staying power. Givens has done just that studying and preparing for roles and surrounding herself with legendary talents like Cicely Tyson. “Cicely Tyson is like my mom in the business and kind of took me under her wing,” says Givens. “We spend hours up at night talking about acting,” says the “Ambitions” actress. “One of the things we talk about is respecting the craft,” says Givens who has appeared in over 100 television and film projects. Givens is excited about the role of Stephanie Lancaster because she is a strong woman, who she plays with humor. Givens is no stranger to playing strong women with her iconic performance as Jacqueline Broyer in the classic film Boomerang (1992). Givens starred as a powerful, man-eating, advertising executive who takes no prisoners along her professional journey. When asked about BET‘s “Boomerang,” a television series executive produced by Halle Berry and Lena Waithe, which centers around the children of the film’s main characters, Givens says she didn’t know anything about the show. “I really don’t know anything about it. Everybody asks me about it, but I know nothing about it.” She then elaborates a bit. “I saw Eddie [Murphy} in passing and he said, “Robin Simone, who knew we were going to do a classic?’ That’s the only thought I have because I really don’t know anything about it,” she says matter-of-factly. This post was written by Nsenga K. Burton, Ph.D., founder & editor-in-chief of the award-winning news blog The Burton Wire. Follow her on Twitter @Ntellectual or @TheBurtonWire.